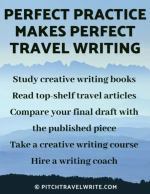 In my role as a travel writing coach, I’ve fielded numerous questions from my writers. It’s not surprising that I hear the same questions repeatedly. The most frequent topic I get questions about is selling articles to print magazines, followed by how to parlay travel perks. Whether you’re a novice writer or a veteran, it’s wise to send your queries to print magazines before querying travel websites. Selling articles to print media first is the goal. Selling articles to print magazines is important if you want to get paid for your work. Additionally, print bylines are far more prestigious than travel website bylines. One common mistake that undermines your work is sending queries to print and travel websites simultaneously. Don’t do this! It works against you and will cost you in the end. Although a few websites pay their writers a token amount, most travel websites don’t pay for articles. Although print media doesn’t always pay particularly well, they do at least pay something. And top shelf print media can pay as much as $1/word. This gives print the edge over online publications. Why wouldn’t you want to be paid for your writing? Getting your stories published on websites can cause problems if you try later to sell the story to print. When print magazine editors see your story online, they won’t want it. They prefer original material. That’s why they pay you for the article. If it’s already posted online it’s not original anymore. Why would an editor want to pay you for content that is available for free online? By publishing your story online, you stand to lose revenue and the prestige of a print byline. Selling articles first to print media is important. Go after the bigger fish first. Send your queries to print magazines before you consider putting anything online. It’s important to prepare lengthy distribution lists of magazines that you think your stories would be a good fit for. Many writers think a “long list” is five or ten publications. This isn’t even close to what you need. I recommend at least fifteen to twenty-five magazine leads on your initial lists. I ask my coaching clients to list ALL magazines they think appropriate for their story. The fewer magazines you pitch, the less chance you have of seeing your story published. It’s a numbers game! Start with a list like my eBook, 100 Print Magazines That Want to Publish Your Travel Articles. It’s a ready-made list so you won’t have to build the foundation yourself. Then use the Internet to find more travel magazine leads and add to the list. Also buy The Writers Market, to further plump up your list with more magazine and newspaper leads. Visit large bookstores with comprehensive newsstands, such as Barnes & Noble, Books a Million, or your local equivalent. 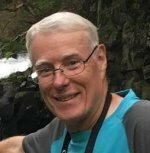 Spend time going through the travel magazines and any other magazines that you think would be a good fit for your story. Make a note of the magazine’s name, website, the editor’s name, email address and phone number. If you use these four sources to prepare your magazine lists, you will easily come up with fifteen to twenty-five magazine leads. Selling articles becomes a lot easier when you have a long list of sales leads. You’ve pitched your long list of print magazines, and after a few weeks there’s still no interest in your story. What happens if none of the print magazine editors are interested in buying your story? At this point, you should consider sending your query to travel websites. Use travel websites and blogs as a last resort. Most of them don’t pay you for your articles. And they don’t carry as much weight when requesting travel perks. Keep the idea in the back of your mind that you can always place stories on travel websites. Websites will pretty much take anything submitted as long as it’s a reasonable story. In fact, many travel websites will actually take completed articles and publish them - no query needed. Wait at least two or three weeks after you’ve pitched print magazines before sending your query to travel websites and blogs. Web editors jump on a good travel story immediately. They don’t pay the writers and they always need content. By donating your story to a website after it’s been published in print you get two stories published for the price of one! I do this all the time. When I’ve had an article published several times in print there comes a point where I can no longer sell it. I often use the Internet to finally lay it to rest. But, always remember there’s a rule about duplicate content on the web. Make sure you only give your story to one travel website or blog. Search engines penalize sites for duplicate content. Web editors get very upset about this and you’ll lose their trust. So, make sure your story is only posted once online. Decide which site you want to donate your article to and approach them first. If you want the additional byline, rewrite the article completely. Consider writing a similar story with a different angle. Once you have travel writing assignments, you can start requesting travel perks. Print magazines tend to carry more weight with tourist agencies than online assignments, but you can often use online travel articles as collateral, too. If you’re planning to write for a website, ask the Webmaster for traffic statistics about the site (unique daily visitors, unique monthly visitors, and Alexa ranking, are all common measurements). Then you can pass along the statistics to the media rep at your destination. I recommend that you only travel after you have one or more writing assignments accepted. 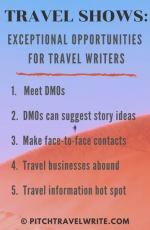 Too many writers have talked their way into receiving complimentary travel perks based on vague promises of assignments, and then can’t deliver on them. Tourist agencies are leery of travel writers because of this. Many CVBs require proof of an assignment before they’ll arrange travel perks for you. Make it easy on yourself. Pitch stories and get assignments before you travel. One of my 'secrets' to being such a prolific travel writer is that I never stop pitching. Even when I’m not traveling, I’m thinking of story ideas I can pitch and selling articles. Or, I’m rummaging through my files for stories that can be rewritten and resold. Keep pitching and selling articles to keep money flowing in. There’s a lot of variation around when you’ll get paid for your articles. Most magazines only pay after the article is published. That means you won’t see a paycheck for weeks or months after you submit your article. The only way you’ll see money flowing regularly into your bank account from freelance writing is to keep pitching. You want to have queries in progress, stories being written, articles in the pipeline waiting to get published, and some being published. When you’re planning a trip, don’t just pitch one story idea. Pitch several. For international trips I send queries out until I have one or two dozen assignments. Multiple assignments open the door for plenty of travel perks while I’m on a trip, which saves me a pile of money in travel expenses. And when I complete each assignment there’s a paycheck on it’s way to me in the mail. 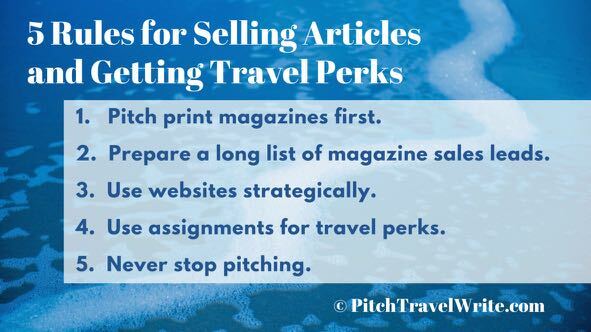 Follow these five rules for selling articles and landing those travel perks. It might feel overwhelming at first, but with time and experience it gets easier. There are countless ways you can improve your workflow by managing your time and doing things more efficiently. As these rules become part of your routine, you’ll realize it’s not so overwhelming after all. 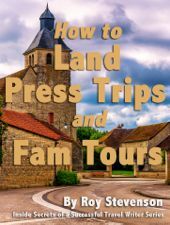 I've written a guide about how to land press trips and fam tours. It will tell you everything you want to know about how to get into the inner circle and get invited on regional, national and international press trips.